Finally today with few of my Venetians colleagues managed to get a glimpse of few of the boats of the America's Cup . The AC45, a rigid wingsail catamaran, is the precursor of a new generation of America’s Cup boats. 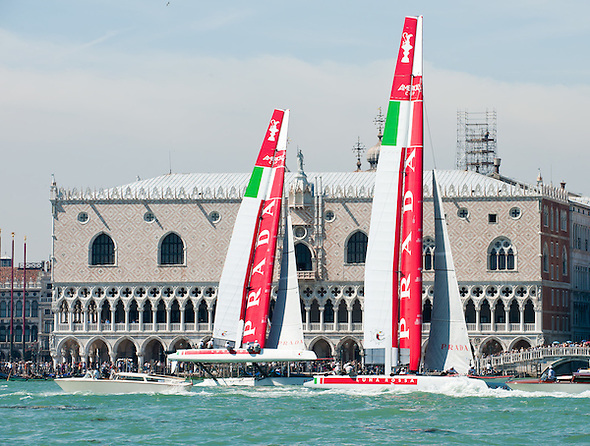 Able to reach speeds of around 50 km per hour, the AC45 is also agile enough to guarantee tactical and competitive races, such as those to be “designed” by the America’s Cup Race Management.